Our new payphone came today. There was no ceremony, no speeches, no band. A pickup drove up and within minutes the job was done. It looks good though. Kudos to Telus for coming through. It’s a very functional unit from which one can make free 911 calls and all the other calling features which one would expect. No coins, which is probably a good thing because it’s just one less thing to break and for Telus to deal with. There’s a soft glow light inside the top of the hood which is both welcoming and functional. One can also imagine that with the unit being on the wall of the Telus building, the technicians who frequent this location will keep an eye on it, and perhaps even change the light when it goes out. The new location has advantages and there is no question that the phone looks good there. It’s also nice and private for those who enjoy that. Perhaps the biggest advantage is being off the street so the snow plow won’t block it in the winter time. That driveway is typically kept clear when it snows. The only drawback of being on the Telus Building, is that it can’t be seen from the Coalmont Road (Parrish Avenue) or the KVR trail. A blue sign was placed on the telephone pole on the corner, right where the old phone booth was located, and that makes it clear that there is a telephone around. But it can’t be seen from there since it is in the woods now. Another sign could probably fix that problem. It’s been 10 weeks since the original payphone got destroyed on March 29th (story here), but it’s all good now. Telus came up with a phone, and it looks great. 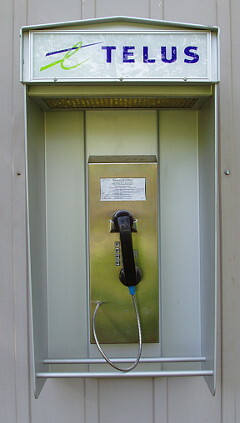 Telus has just informed us that they intend to replace the payphone. David Fowler, who manages the payphone business for Telus, contacted the Sterns with the good news. He will be working with their technicians to ensure that this new payphone is installed and operational as soon as possible. Mr. Fowler operates out of the Calgary office. He will be working with their technicians to ensure that this new payphone is installed and operational as soon as possible. We are very grateful to Telus for listening to us and coming to a compromise that should work for everyone. We also wish to thank Alex Atamanenko (Federal MP), Jackie Tegart (BC MLA), Bob Coyne (RDOS Area H Rep.), all of their staff, members of the public and the press who instilled in Telus the importance of this much-needed phone. They were all instrumental in helping us arrive at this workable solution. The payphone inside the Coalmont Hotel will be removed and replaced by one accessible to the public 24/7 in an outdoor location. 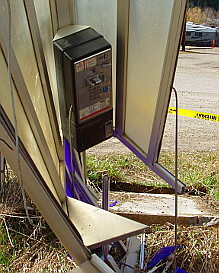 They will be installing that new payphone on the Telus building on the north side of Front Street, just east of the Coalmont Road. They will be installing a payphone sign(s) at the original booth location directing people to the nearby, new location. The new payphone will be of a robust design with free calling to 911, credit card calling, collect calls through an operator, but no coin slots. The Coalmont Food Cart is now open and here to stay. Opening times are noon ’til after dinner, Tuesday through Sunday. Prompt service, but if you’re really in a hurry you can call ahead: 250-295-6066. Home made beef paddy with lettuce, Monterey Jack cheese, and of course, our smoked onions. Bison, Venison, and Elk. With smoked onions, Dijon mustard, on a Parisienne bun. Grilled chicken breast with Tzatziki, cucumber and lettuce. The traditional standby with smoked onion and cheese. Watch for smoked meats, pulled pork, smoked brisket, baby back ribs. Menu changes every week. Just as we thought we had seen the last April fool’s jinx, it started snowing late in the evening. So far no one has claimed responsibility, but here is a picture from the morning of April 2nd to show that it actually did happen. Fortunately, by early afternoon it was all gone again. The KVR Trans Canada Trail has been blocked by a slide. A large part of the mountain has given way and the debris is more than trail crews can deal with, even with machinery. 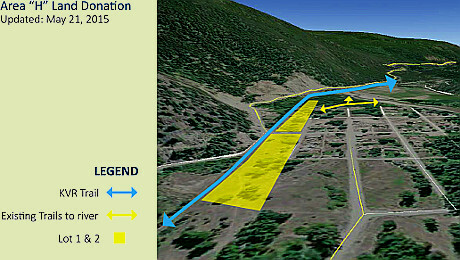 The situation will likely require geotechnical expertise and special equipment. There is currently no word on whether this will become available, or when the trail will again be open between Coalmont and Princeton. For the time being this section is impassable by quads, and it is unsafe to cross on foot. The first picture shows the blockage as seen from the trestle facing Princeton. 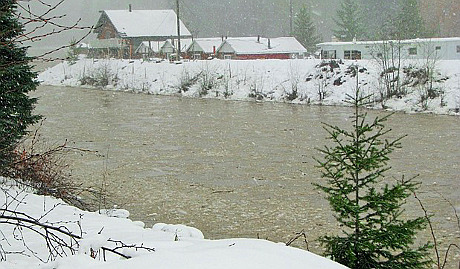 The second picture is taken from across the Tulameen River. 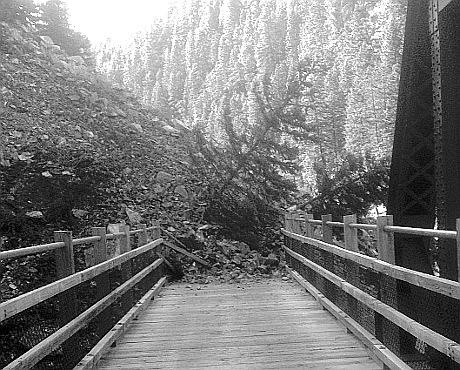 The end of the trestle is now covered or gone down with the slide into the river below. 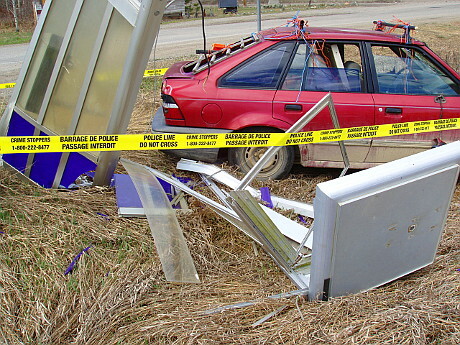 A car driven by Rolly Giroux has demolished the Coalmont phone booth, destroyed one household’s water well, and sent one person to hospital. Around noon today Warren Spence had stopped to use the phone booth at the corner of Front and Parrish. Mr. Giroux, driving an uninsured vehicle, came by and drove directly toward the booth with Mr. Spence in it. According to Spence he saw Giroux coming straight toward him but was not able to move away fast enough and was still left bleeding. Reportedly the injuries are not life threatening but still fairly serious. Spence has long been a sworn enemy of Giroux who is well known for his threats. It is unclear whether this was an accident or not. Giroux, who lives at the other end of the block, went home. Spence apparently had a companion in his truck who was able to drive to the hospital. The police then arrived at the scene, took some pictures, and then went to visit Giroux whom it is assumed was with them when they left there a short time later. Regardless of intentions, the worldly consequences are not good. Mr Spence says he will be laid up for at least 6 weeks. 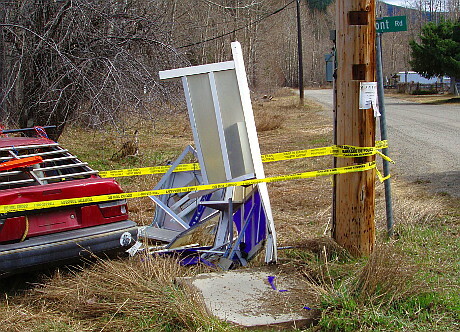 Furthermore, the loss of Coalmont’s phone booth is no small matter. 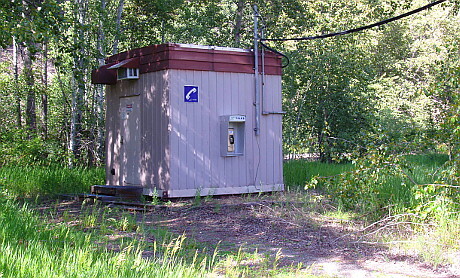 It was the only emergency phone serving this area and section of the Trans Canada Trail. There is no cell phone coverage. 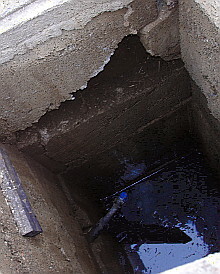 The well behind it is now partly caved in and is exposed to further contamination by surface water and rodent access. This was a source of drinking water for two properties. In addition, the goats and other animals which Giroux was caring for at his residence will need attention while their master is away. It is not known when, or if, he will return. The power went down this morning (Saturday) at 11:40 and when it came back on at 1:38 p.m. it was a great relief – which lasted for approximately two minutes until it was down again. Crews were already on their way home, but were called back before they got far from the scene. This time it took them an hour and 35 minutes to restore power. People who restarted their computers, or ventured into the shower, or whatever they had put off that required electricity, were in for a rude surprise because this repair only lasted 55 minutes. It then took a long time before power came back again. In all, the power was off for nine and a half hours today. Things might be warming up a little in the saga of the Blakeburn Coal Mine. It’s been a long couple of winters for the mine. Operating mostly under the name Coalmont Energy Corporation (CEC) the mine stopped production in October of 2013 because of lack of profitability combined with a surfeit of debt. Nevertheless Coalmont managed to get a stay of proceedings which ended on February 18 of last month. That is when the inevitable declaration of bankruptcy occurred. The first meeting of creditors is tomorrow. 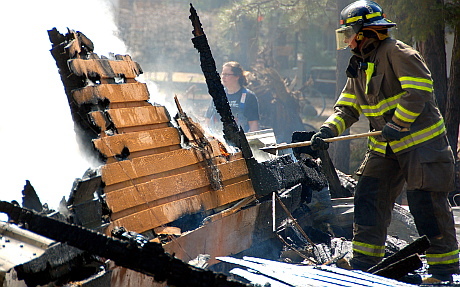 There are 145 known unsecured creditors who are owed a total of $37.5 million. However, at this point Coalmont has no asserts, those having been sold to a company by the name of Sandhill Materials last month. Former employees will not be eligible for termination pay under the Wage Earners Protection Act because of the length of time that has passed. 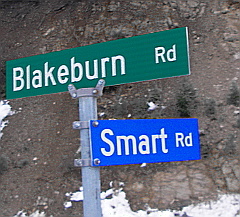 There is now a smart new Smart Road sign. Thanks go to Chris Goodfellow, Brad Hope, and the Regional District of Okanagan Similkameen for making this happen. The earlier sign, paid for by the community, was stolen. 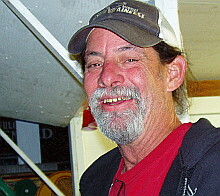 The previous District Director, Brad Hope, subsequently persuaded the Regional District to provided a new one. The mounting of the sign was, however, left to the community. Chris Goodfellow volunteered his services and as you can see from the picture, did a splendid job. Read the original Courier story here. Another sign had gone missing earlier last year. 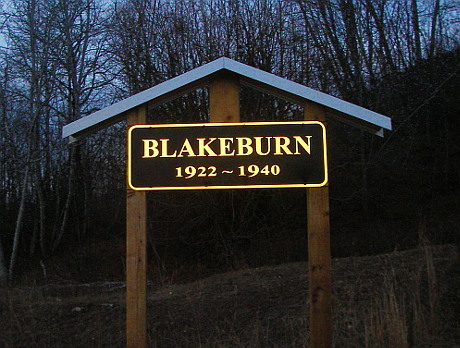 That was the memorial sign placed near the site of the old post office in the, now gone, town of Blakeburn. People were working and living there a few years before the post office opened in 1922, but everything closed in 1940 and it became a ghost town. The Coalmont community had decided that it was important to put a memorial sign on the site to commemorate the place where people, some of whom are still around, were born, lived and went to school. Quite a few also died in the 1930 explosion. Again, it was Chris Goodfellow who volunteered to do the work. The last one was also a community effort and the actual metal sign had been provided by James and Sharon McCulloch, who had the foresight to get two, just in case. Read the original Courier story here. Here is a photo we just took (9:30 am) of the river at the Coalmont bridge…. Fairly high and lots of debris, but certainly not a problem….